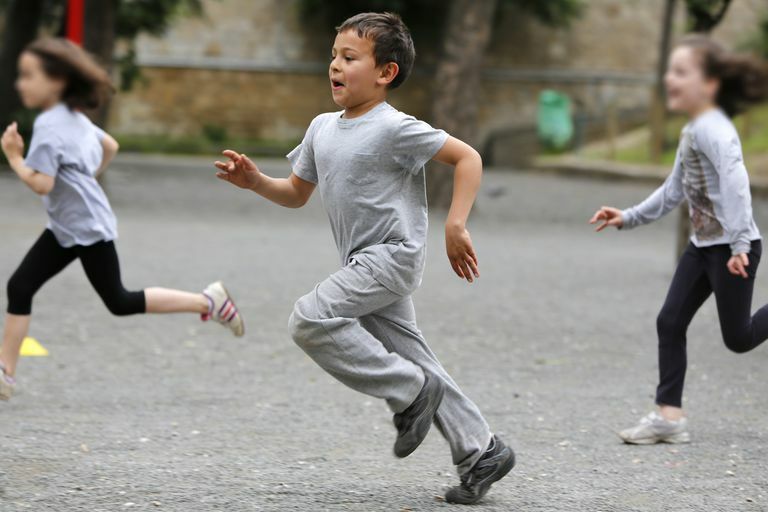 Help school-agers add more activity to their day with an after-school kids' running club. Starting one yourself is easy to do and simple to maintain. Plus, you get to join in on the jogging and walking, so your fitness levels get a boost too. A running club requires very little equipment and doesn't have to cost a thing. Expect to spend a few hours on initial set-up, then a few hours a week to run or walk with club members (that duty could be shared among several parent and teacher chaperones, too). You might decide to join up with a national or regional organization (such as Girls on the Run or Just Run) or create your own club. Both methods have their pros and cons. Here we'll focus on setting up a low-key, school-based, independent running club. Take an informal poll of kids and parents at your child's school. Is there interest in an after-school running club? Or one held during recess? Some kids can run and some can walk, if necessary. Spread the word. Place a blurb in school or classroom newsletters and Facebook pages, send out an email to parents, whip up a quick flyer for kids' backpacks. Set a date for your first meeting and ask interested kids and parents to come. Set ground rules: Kids must have a permission slip to participate; stay on the sidewalk/jogging trail; wait at the corner to cross streets with an adult; etc. Determine a route. If your school has a large property, or you'll be meeting during the school day, do laps around the edge. For after school, map out a safe route along local streets. Since some kids will be faster than others, look for both a short and a long loop. Younger kids (kindergarten and 1st grade) can do a mile walk or run. Kids in second grade and up can handle walking or jogging 1.5 miles or more. Hold your first meeting. Distribute any permissions forms and discuss expectations for behavior. Determine whether you'll need to recruit more adult chaperones (depending on the number of participating kids). Set a schedule for future meetings, when you'll actually run. At least once or twice a week is ideal. Take your first run! Gather permission forms, do some simple stretches and/or a warm-up, and you're ready to go. Continue with regular runs as weather permits. At the end of the season or school year, celebrate with inexpensive medals or homemade certificates of participation. Or consider awarding interim incentives, such as rubber stamps or punches on a card, or stickers. Recruit a like-minded parent or teacher to help. Everyone gets some extra exercise. Making participation optional keeps the pressure off. Remember that some kids won't be able to run the whole distance. Be prepared by having some adults stay at the back of the pack. For kids who can't quite go the distance, try run/walk intervals of 30 seconds to a minute (or alternating city blocks).